As students enter the final stages of the spring semester, the Trinity Tripod had an opportunity to chat with Kristina Miele ’19, president of the Stella Society, and Emily Turner ’18 about the newly-established GLO’s future goals and objectives for next year. Trinity Tripod: What inspired the decision to start a sorority at Trinity? 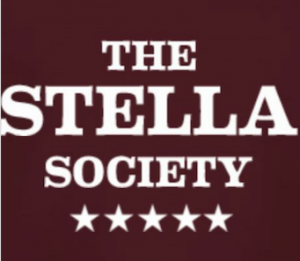 Stella Society: The decision to start the Stella Society was most definitely a collaborative effort. A group of young women at Trinity realized an opportunity to expand the number of Greek Life opportunities available to women at Trinity, and took action. Thanks to the efforts of the women who first founded Stella in the fall, and those who have joined this spring, Stella is continuing to grow and develop. TT: What do you hope the Stella Society brings to Trinity? SS: The Stella Society contributes to Trinity College’s on-going effort to foster a sense of community across the entire campus. Strong communities are built upon strong connections between individuals, and members of our sisterhood strive to strengthen their connections with other members, and with the Trinity community as a whole. We are committed to creating an atmosphere in which positive connections are possible, and we encourage collaboration rather than competition not just within our chapter, but from Vernon Street to Crescent Street and beyond. We hope to enhance the communities of which we are part—both Trinity College and the city of Hartford. TT: What are some of your proudest accomplishments as a GLO so far? What are some future goals you are working toward? SS: Last semester we accomplished many of our organization’s start-up goals. We established ourselves as a group on campus, and participated in spring rush which allowed us to double the size of our membership. Although these accomplishments are important to us, the most meaningful work we have done so far has been our work with My Sisters’ Place. Last semester, we held a hugely successful fundraiser, and donated all of the proceeds to My Sisters’ Place. We were thrilled and honored to hear that our donation made a noticeable positive impact on the lives of those who rely on My Sisters’ Place. The success of our philanthropy work in the fall got us some great momentum, and we are very excited to take our work with My Sisters’ Place to the next level this spring and in future semesters. TT: You mentioned that the Stella Society has been active in projects with My Sisters’ Place, what initiated this collaboration? And what are your future goals for this partnership? SS: When we first started up, The Stella Society was looking for any a meaningful way to connect to the Hartford community. We discovered My Sisters’ Place, and reached out to them in an effort to start a philanthropic relationship. This semester, we are ramping up our efforts to help My Sisters’ Place. This organization changes the lives of many women and children right here in Hartford. The best part of working with My Sisters’ Place is that we are able to impact the community immediately surrounding Trinity. For now, our relationship with My Sisters’ Place is limited to fundraising, but we are in the midst of conversations about getting even more involved, potentially by mentoring and playing with the children who live there. TT: What other future philanthropic goals do you have? Are there specific projects you hope to focus on? SS: We are in the middle of a big philanthropic project right now. We are holding a drive to collect non-food items, which cannot be purchased with food stamps, for My Sisters’ Place. We have a drop off location in the Community Service Office in the basement of Mather, as well as a Go Fund Me page (https://www.gofundme.com/my-sisters-place-drive) in case anyone prefers to donate money instead of items. We are looking for items like laundry detergent, cleaning supplies, paper towels, bath tissues, diapers, feminine products, socks, sheets, and bathroom towels—all essential items that the women at My Sisters’ place have expressed their need for. Our goal is to raise $1500, or the equivalent in donated items. We realize this is a huge goal, but strongly believe we can make it happen! TT: Have you met with any chapters from the National Panhellenic Council (NPC) yet? What details can you share about that process? SS: The process of becoming nationally recognized is quite lengthy. It involves a lot of back and forth between the school and NPC, and there are strict guidelines for these interactions. Though it is quite a complicated process, we are definitely working our way through it, and will have updates in the near future. TT: It sounds like you guys have already made quite a splash on campus. What can we expect to see from this group in the future? SS: Stella will continue our efforts to attract leaders from all ends of campus to take part in Greek Life during next year’s fall recruitment. We will continue to uphold our standards of academic excellence, widespread campus involvement, and upstanding character. We will maintain our relationship with My Sisters’ Place, and expand our community service efforts in other areas as well. We have plans in the works to collaborate with other Greek Life Organizations and student-run organizations across campus. The Stella Society will continue to devote itself to giving back to the community that supports, challenges, and inspires us.